I received this from China today. I have no real idea what it is. But it certainly looks nice! It seems to be reasonably-well machined. I thought I might be able to use it in a jig or something. 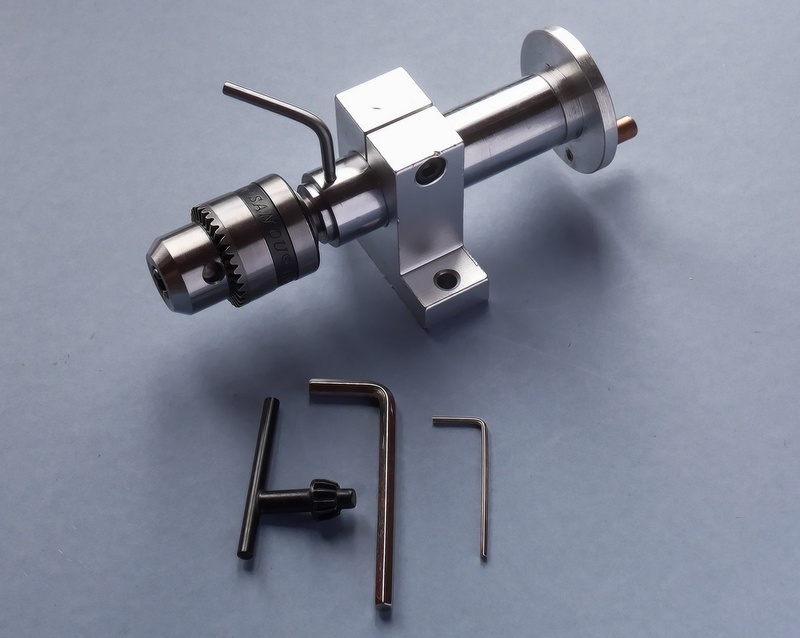 The windy (not ‘windy’ as in Miller) thing on the right extends or retracts the chuck shaft. The chuck does not rotate. The lever on top locks the shaft at the current extension. The chuck key is…, well…, a chuck key! The large Allen key (‘wrench’ for those from US of A) fits the bolt that clamps the outer shaft, enabling it to be adjusted for further reach. The small Allen key/wrench fits in a hole in that rotating flange thing on the right (previously know as ‘the windy thing’) but even when I completely extract the grub screw, nothing appears to happen. i.e. nothing comes apart. If anyone knows what this is and what it is used for, please let me know!